There are a number of different options when it comes to hot water cylinders. This type of cylinder is a fantastic option as it’s space saving, energy efficient and gives outstanding performance. 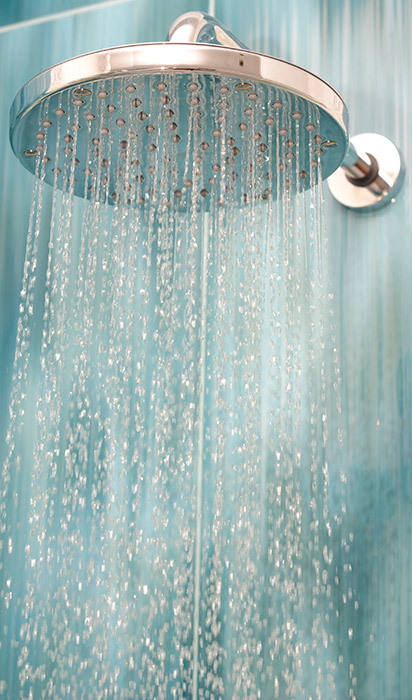 These type of cylinders rely on the mains water to provide high pressure showers. As long as your incoming mains pressure is good this is normally the number one choice. We install Santon Premier Plus and Megaflo unvented hot water cylinders. Both are manufactured by Heatrea Sadia and come with up to 30 Years Warranty. With replenish times of as little as 12 minutes to heat a full cylinder of hot water, coupled with high efficiency and a high flow rate giving unsurpassed high pressure showers, unvented cylinders are the way to go! Traditional vented cylinders need a cold water storage tank to fill them and require an open vent for the expansion. This option is normally now only used when the incoming water mains pressure is low. Vented cylinders can be used in conjunction with pumps to boost the water mains. Thermal stores are very common in purpose built properties circa 1990-2005 and were most commonly made by Gledhill. They work by storing a body of hot water and passing mains water through a plate heat exchanger. It’s not very common to install thermal stores anymore, with the advancement in unvented cylinders its almost always the better option. Indirect cylinders are heated via a coil that’s connected to the boiler. They will normally have an immersion as a secondary back up.